The type of thin-set mortar used to install DITRA depends on the substrate material. For example, to set DITRA over plywood or OSB, a modified thin-set mortar meeting the requirements of ANSI A118.11 is used. To set DITRA over concrete or gypsum, Schluter-Systems recommends an unmodified thin-set mortar meeting the requirements of ANSI A118.1. 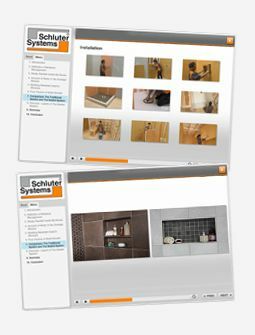 Please consult the Schluter-DITRA Installation Handbook before beginning your tile project to confirm the proper materials selection.